I’ve been called Aim, Ames, Aimsie, Aimer, Amy Sue (yes, my middle name), and four-eyes when I was younger (got glasses in 3rd grade), and I know the words to the great song ‘Aimee’ by Pure Prairie League. 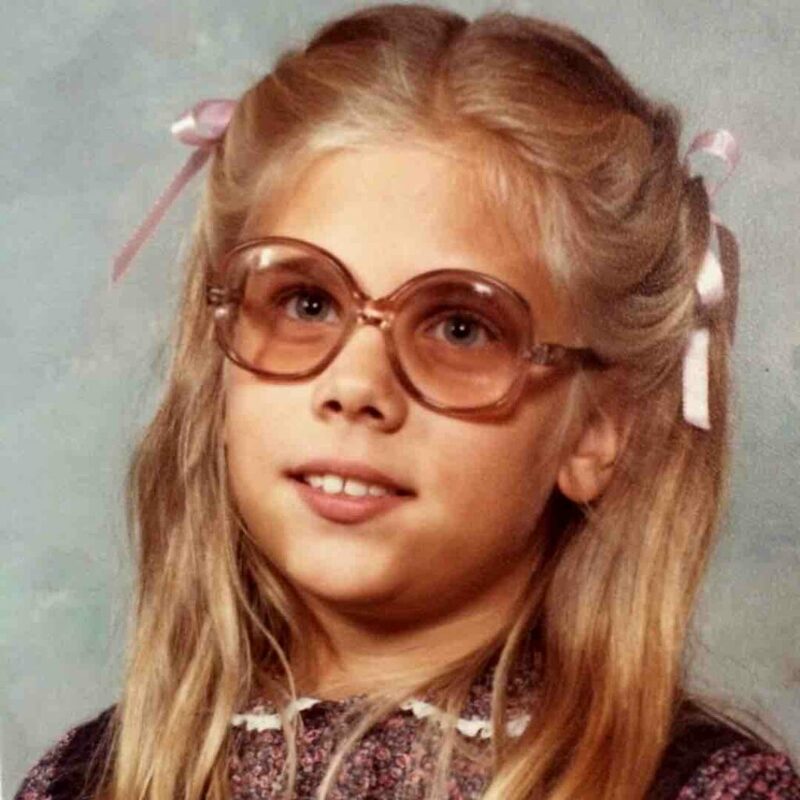 This younger photo is from the 5th grade, with the then “new” advancement of the lenses changing darker shades in the sun, called “Transitions.” But in the 7th grade, coming back into science class after a fire drill outside, the teacher told me to take off my sunglasses. I said I couldn’t; they were my glasses. All the kids laughed and I was so embarrassed. The teenager years were rough. “Transition” years. Don’t we wish we could look back and tell our younger self: “Hang on, it’s just a short season, it will get so much better.” Because we know the future photos (and contacts come and Lasik). He sees; he has the future lens. So I just keep trying to develop a faith lens. When I’m in transition, I find the spiritual presence all around. We just have to look. Like the song, “Aimee….What you want to do…I think, I can stay with you for awhile maybe longer if I do…” Yes, He is there. That’s a relationship that will lift you without even asking, because He just knows. And when you turn towards faith, it will always get so much better. A great read and reminder. To be aware of His presence in all activities, to be aware of how deeply He loves each of us is something I strive to get better at recognizing in everyday activities. As I transition from work to home, I say prayers for people I see – walking the halls at work to and from meetings, I pray for co-workers I know well and those who I have yet to meet. To recognize His love for us through all of life’s trials and tribulations is what I strive for each and every moment of the day. I want to always continue to grow and strengthen my spiritual muscle so I am able to be His hands and feet in this community, city, state, country and world. Finding God’s love for us in everyday things – and recognizing that all-powerful love through the cross is especially powerful this Easter week. I love this analogy and the picture!! It is sometimes hard, but it is so important to have faith that God knows where our path is leading. Thanks for sharing! Thank you Ann! It is a beautiful quote!